Seventy-nine percent of GBA Members own water access only properties. With the current crisis low water levels many cottagers will have challenges gaining direct access to their properties. GBA has been working with local municipalities as well as the Province (specifically Ontario Ministry of Natural Resources) and the Federal government as the rules and regulations around dock size and placement and lakebed alterations are reviewed in order to enable continued use of properties during this low water crisis. The following is a summary of what we have learned. It may be that you need to move your existing dock or to build an extension on your existing dock in order to continue to have access to your property. 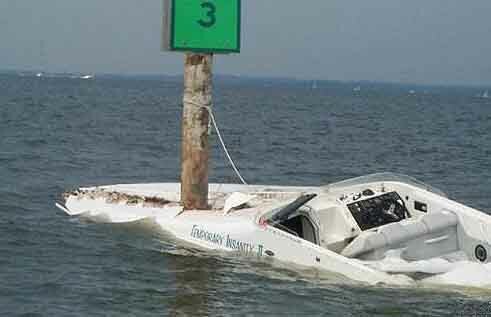 Given the fluctuating water levels, it would be advisable to consider using floating docks. These are also less impactful to the lakebed. Approvals of size, number and placement of docks is principally a Municipal responsibility. Each Municipality has its own rules; these are outlined in a Comprehensive Zoning By-law. We are aware that most Municipalities along the Georgian Bay have recognized the emergency nature of the current water levels situation and have taken steps to relax their regulations, at least on a one-time, time limited basis, so as to accommodate their ratepayers’ needs. You should contact your Township’s or Municipality’s Building Department to discuss your specific situation. If extensions and/or relocation of docks are necessary, you will likely be required to consult with your neighbours so you may wish to initiate those discussions prior to meeting with the Building Department officials. Should you need to dredge or blast the lake bed to restore access to your property you will need to make an application to the Ontario Ministry of Natural Resources for a Shorelands Work Permit. A copy of the required forms can be found on the Township of the Archipelago’s web site at; http://www.thearchipelago.on.ca (click on “dredging” link). MNR has been working hard to streamline the application process in recognition of the urgency and need to react to the crisis situation. It should be noted that MNR is specifically sensitive to applications that are to facilitate access to properties (ie a channel between a dock and open water). Broader applications to dredge entire back bays or even move rocks along coastlines for aesthetic purposes would require more scrutiny and time delays. MNR identified an ideal window for this dredging project so as to avoid potential contravention of the Endangered Species Act. This window is between July 16th and August 31st. The phone numbers for the three MNR offices that cover southern Georgian Bay are: Midhurst 705-725-7500; Parry Sound 705-746-4201; and Sudbury 705-564-7823. All are well equipped to answer your questions and guide you through the application process. The next challenge is to find a contractor who has the equipment and time to carry out the work that you hope to have approved. Your Township Building Department should be able to offer some suggestions regarding who does this type of work in your area. The sooner you get your approval and join the queue with a contractor the better. The cost for dredging or blasting will be very site specific but will likely be significant. Even moving or extending docks will not be inexpensive. GBA would like to keep track of how many properties undergo site alterations so that we can add these numbers and costs to an ongoing analysis that we are doing on the financial impact of low water levels. We will share this cumulative information with our elected officials as support for our argument that a more permanent remedy to low water levels is warranted. Simply put, we feel that spending money on adaptive management to keep harbours and channels open in the face of ever falling water levels is fool’s game. Governments should spend some money on possible longer-term remedies such as control mechanisms in the connecting channels between the Great Lakes. This invasive species has now spread from the Great Lakes into the Muskoka Lakes. This is one of the reasons why it is important for everyone to ‘Clean, Drain and Dry’ when moving a boat from one water body to another. The Spiny Water Flea has been interfering with the Georgian Bay food web for many years. Read more here. THE GEORGIAN BAY ASSOCIATION HAS BEEN POSTING THE "CLEAN, DRAIN AND DRY YOUR BOAT" POSTERS AT MANY WATER ACCESS POINTS THIS PAST SUMMER TO HELP REMIND BOATERS. The Canadian Safe Boating Council (CSBC) and the Ontario Conservation Officer Association (OCOA) want to remind all boaters enjoying the fall season on the water to follow a few helpful tips to ensure that their excursions are both safe and enjoyable. Read the press release or visit their website for more information. 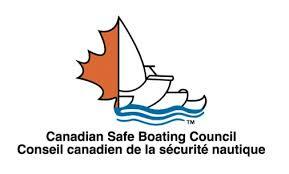 We have just received word from the Office of Boating Safety of Transport Canada that the Small Vessel Regulation changes we have been writing about have become law. The details of the regulations affecting flare carriage requirements and stand up paddleboards and boat licensing respectively are available in articles in the Boating and Safety section of the website. Check it out!